10+2 with Physics, Mathematics and Chemistry(Min. 50% in each subject) from recognized board or University. A.M.Ae.S.I at par with B.E/B.Tech. Ever since planes started flying in the skies, aviation has been a glamorous vocation sought after by many, but achieved by only a few selected persons. Aeronautical engineering is a branch of engineering which deals with the design and development of vehicles in the air such as aircraft, helicopters, rockets, missiles etc and operations of those vehicles. In addition to air vehicles, Aeronautical engineering makes valuable contributions into the other industrial fields in the form of research, development and design of ground vehicles. Thus, aeronautical engineers have various opportunities to find a job in Defence,aircraft industries and automotive industry. Graduates of aeronautical engineering work in all areas of the aircraft and airline industries. They also work in other exciting areas such as motor vehicle production and energy industry. 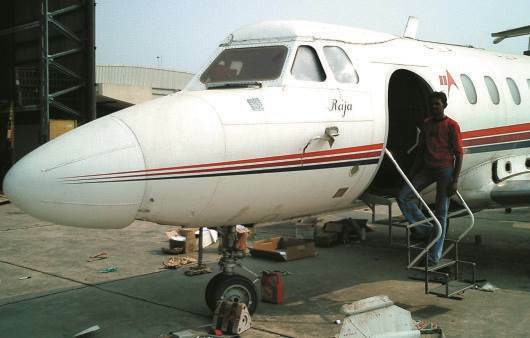 In India, large transport and aviation companies employ aeronautical engineers, as do the smaller companies who produce components and services. Air Forces across the globe also employ aeronautical engineers. An Aeronautical Engineer can find employment in various Airlines in India and Abroad. Jobs are available with the national, international public and private airline services as well as aircraft manufacturing units. They can also join the Defence Services, Airport Authority of India, Aeronautical Development Agency (ADA), Indian Space Research Organization (ISRO), Vikram Sarabhai Space Centre (VSSC), Defence Research and Development Organization (DRDO), National Aeronautical Laboratory (NAL), Hindustan Aeronautics Limited (HAL), Civil Aviation Department (CAD) and also private Aviation Industries etc., as research Engineers / Maintenance Engineers. The Government of India recognizes a pass in the AMAeSI examination in the Section A and B levels for the purpose of recruitment to executive posts and commissioned ranks in the services in the appropriate field under the Central Government. AMAeSI is recognized by the Govt. of India as equivalent to BE degree in Aeronautical Engineering. Candidates with AMAeSI qualification are eligible to apply for any job in Aeronautics where BE is prescribed as the minimum eligibility qualification for the post. They are also eligible to pursue Post Graduate Courses. 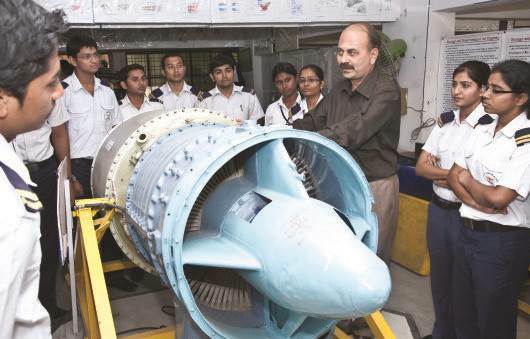 As there is great dearth of qualified aircraft engineers in India as well as abroad, candidates who successfully complete this course will be able to obtain lucrative jobs in aviation firms. 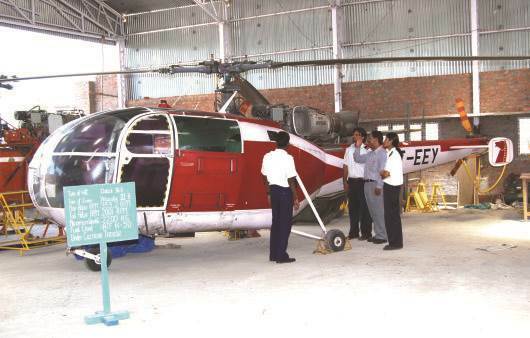 The examination for AMAeSI is conducted by the Aeronautical Society of India, New Delhi at various centres in India and Hyderabad is one of them. (U.P.S.C.) / G.A.T.E. for M.Tech admission / Hindustan Aeronautics Ltd., (H.A.L.) / Indian Airlines / Air India / B.H.E.L. / D.R.D.O. / N.A.L. / I.A.F. / Coast Guard / Airline Industries etc. / Birla Institute of Technology, Ranchi / Madras Institute of Technology and many other Government, Public and Private sector as equivalent to B.E / B.Tech (Aeronautical Engineering). Flytech Aviation Academy is the only Institute in India, which imparts practical training on live aircrafts and exposure to the flying to its Aeronautical Engineering students.